You’re probably aware of the current controversy regarding the use of filters and Photoshop to alter the appearance of images posted on Instagram and other social media sites. Kim Kardashian would immediately spring to mind, but she’s not the only culprit. Unfortunately, when used to change the appearance of oneself has been proven to have a detrimental effect on ones’ self-confidence and mental health wellbeing, an ample subject in which I will no further delve in this post. What I wanted to talk to you about is the use of filters and Photoshop on flowers’ photos. This is a completely different basket (of leaves, twigs, flowers..). The Instagram is an online portfolio for my business and I need to present my work in the best possible light – literally! A beautiful white rose bouquet without the helping hand of a light filter and a careful manipulation of the backdrop would not give justice to the beauties created by Mother Nature. 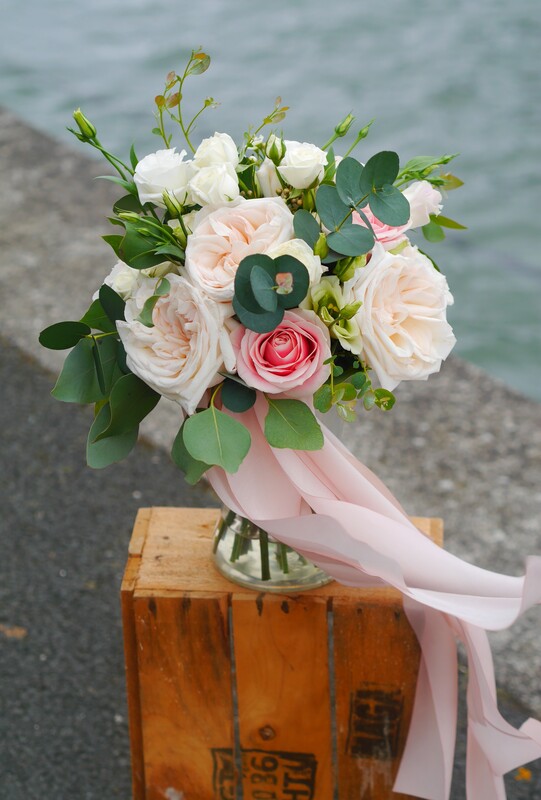 Equally, a beautiful wild flowers bridal bouquet ‘crowded’ by a busy environment or an unsightly position stem will need to be ‘helped’ to rightfully present a ‘realistic’ image of the design.